Our Directors are the backbone of our business: with many years of experience in many high-profile companies, the combined wealth of knowledge provides a reassuring foundation for the service we provide. Chairman of the board and Managing Director of Lottoland Holdings. Financial Services Management BA Hons and LLB. Executive Director MD. Having spent the first part of his career learning about different parts of the industry he joined us in 2006 with a vast array of knowledge. Underwiring and Risk Director. With a first-class honors degree in financial service management, she comes from the service industry into a very successful career in Insurance. Non-executive Director and a highly educated solicitor, qualified in England, Wales and Hong Kong. He has worked internationally and is now employed with SRICL and the Rock Group. Non-executive Director and Claims Director of Eldon Insurance Services. 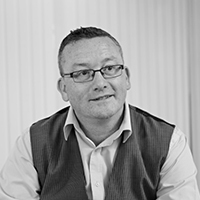 With over 30 years of Insurance Management experience, and specialism in Claims management.